"Networking as an executive in any profession or industry is possibly one of the most valuable ways to build credibility both personally and professionally. "It won't happen naturally and requires significant investments both in time and fostering business relationships, but can yield long lasting return on investment both in business, leveraging referrals, new business, and opportunities to advance your own career," says Laura McGarrity, vice president of marketing at Mondo, an IT sourcing and staffing firm. If nothing else motivates you about social networking then consider this; the days of working for one or even two companies for your entire career have all but gone away. Those days have given way to a world where CIOs last on average four to five years while IT pros average somewhere around three. Looking for a job is hard work and takes a long time. In surveys, a majority of people find their next position via an introduction through networking. What that means is that social media and social networking have become woven into the fabric of the job search process. In addition that reality, there are other compelling reasons to join in. Finding your next job is one reason but there are a few more for CIOs and IT managers to consider, such as immediate feedback. Social media outlets like Facebook, Twitter and LinkedIn have given people who care enough to get involved and interact at a one-on-one level with their customers, their peers and their staff. Places like Twitter require a tough skin, but the payoff is honest feedback from the people who use your service or product. Services like Twitter offer almost immediate feedback, which comes in handy when a new product, service or feature is launched. Sage IT managers and CIOs monitor these places to see how their user base is reacting and interacting to their new launches. "Twitter is a tremendous asset for tech professionals. It feeds the need for instantaneous response," says Shravan Goli, president of Dice. LinkedIn is especially helpful in finding the passive candidates for your team, allowing you to search for people by geography, years of experience and various skills, among other things. 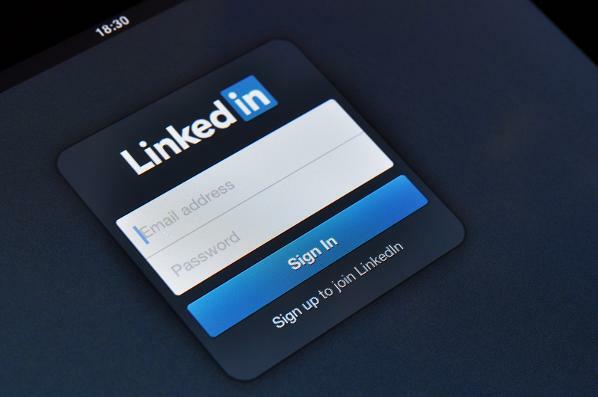 "I use LinkedIn to connect with others, whether it be potential candidates for a job opening I may have, vendors, usually through group discussions, or with other IT leaders," says Jeffrey Hurley, vice president and head of technology for Canada Pension Plan Investment Board. In order to innovate, companies need to create more collaborative user-friendly environments. Social media and the Web are providing the tools to make that happen. More teams are staying connected with suites like Campfire, Yammer and other online collaboration tools. To stay relevant you need to be where the innovation happens, and if it's in one of these collaboration suites, then you better get involved or get left behind. How will people know about your genius if you aren't out there sharing your experiences in places like LinkedIn Groups, Twitter, Quora and other communities? Whatever you do, whatever industry you are in, the Internet has a place for you to interact with like-minded professionals that facilitate collaboration and sharing. So don't be shy, get out there and start asking and answering questions. Demonstrate through your postings that you are an engaged and informed leader that knows what's going on within your specific industry. "You can raise your profile in other ways too - answering questions on Stack, contributing to an Open Source project, marketing your own open source project on SourceForge. With the new recruiting tools that aggregate information, recruiters are expecting to see passion related to your work. So, I recommend tech professionals do something to show that commitment to their craft," says Goli. While there are thousands of articles that cover the various ways to network on the different social networks available, the problem according to career coach and strategist Donald Burns, is a lack of focus. Many people fall into the trap of blindly networking with everyone when the key is to be more focused. "...many people start 'networking' because they've been ordered to do so--beaten over the head to keep networking--but just connecting with people is not enough. You must be connecting with people to reach a target. In my humble opinion, that's the problem with 'networking', people aren't clear about what they're after. When a job seeker has a clear target, a red-hot passionate, well-defined position at a particular company - then connecting with the right people is much easier," says Burns. Many of us work in our various industries with the intention to become thought leaders. Writing a blog is great way to share your knowledge, insight and show off your troubleshooting prowess. "Creating content is a powerful way to build your personal and professional brand online," says McGarrity. When most of us are interested in doing something new, one of the first things we do is search the Web to find someone who has been down this road before to get an idea of what to expect.